Justices of the California Supreme Court: Standing, from left: Justice Leondra R. Kruger, Justice Goodwin H. Liu, Justice Mariano-Florentino Cuéllar, and Justice Joshua P. Groban. Seated, from left: Justice Ming W. Chin, Chief Justice Tani G. Cantil-Sakauye, and Justice Carol A. Corrigan. 23 years, 1 month January 1, 2023 USF, USF; California Court of Appeal (San Francisco, 1990–1996); Alameda County Superior Court (1988-1990). 4 years, 3 months January 3, 2027 Harvard, Yale, Stanford; Special Assistant to the President, Justice and Regulatory Policy, White House Domestic Policy Council (2009-2010); Professor, Stanford Law School (2001-2014); Institute Director, Center Co-Director, and Program Director, Freeman Spogli Institute for International Studies at Stanford University (2004-2015). 4 years, 3 months January 2, 2031 Harvard, Yale; Deputy Assistant Attorney General, Office of Legal Counsel, United States Department of Justice (2013-2014); Assistant to the Solicitor General and Acting Principal Deputy Solicitor General, Office of the Solicitor General, United States Department of Justice (2007-2013); Private practice (2004-2006). 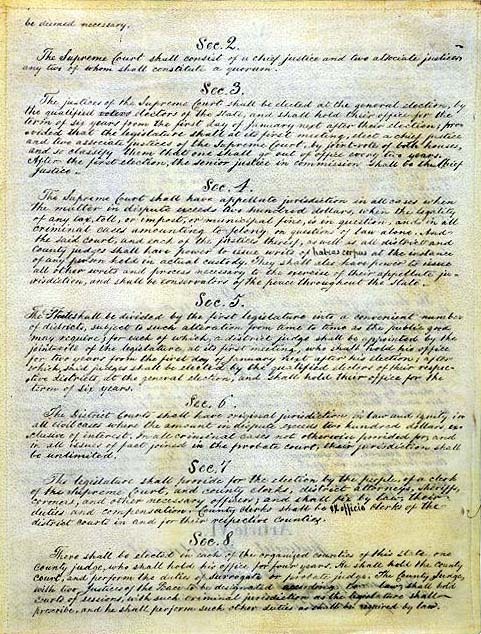 The procedure for when all justices recuse themselves from a case has varied over time. For a 1992 case, the chief justice requested the presiding justice of a Court of Appeal district (different from the one where the case originated) to select six other Court of Appeal justices from his district, and they formed an acting Supreme Court for the purpose of deciding that one case. However, in a later case where all members of the Court recused themselves when Governor Schwarzenegger sought a writ of mandate (Schwarzenegger v. Court of Appeal (Epstein)), seven justices of the Courts of Appeal were selected based on the regular rotational basis, not from the same district, with the most senior one serving as the acting chief justice, and that acting supreme court eventually denied the writ petition. In a yet more recent case (Mallano v. Chiang) where all members of the Court recused themselves on a petition for review by retired Court of Appeal justices on a matter involving those justices' salaries (that apparently involved matters up to and including the 2016-2017 fiscal year), the Court ordered that six superior court judges be selected from the pool that took office after July 1, 2017 to serve as the substitute justices for the six sitting justices, with the senior judge among that group serving as the acting Chief Justice; that acting Supreme Court eventually denied the petition for review. ^ "California Courts - Appellate Court Case Information". Judicial Council of California. Retrieved January 3, 2011. 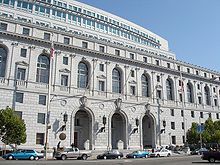 ^ "California Courts - Appellate Court Case Information". Judicial Council of California. Retrieved October 19, 2018. ^ See Snukal v. Flightways Manufacturing, Inc., 23 Cal. 4th 754, 767-768 (2000). ^ Jake Dear and Edward W. Jessen, " Followed Rates" and Leading State Cases, 1940-2005, 41 U.C. Davis L. Rev. 683, 694(2007).